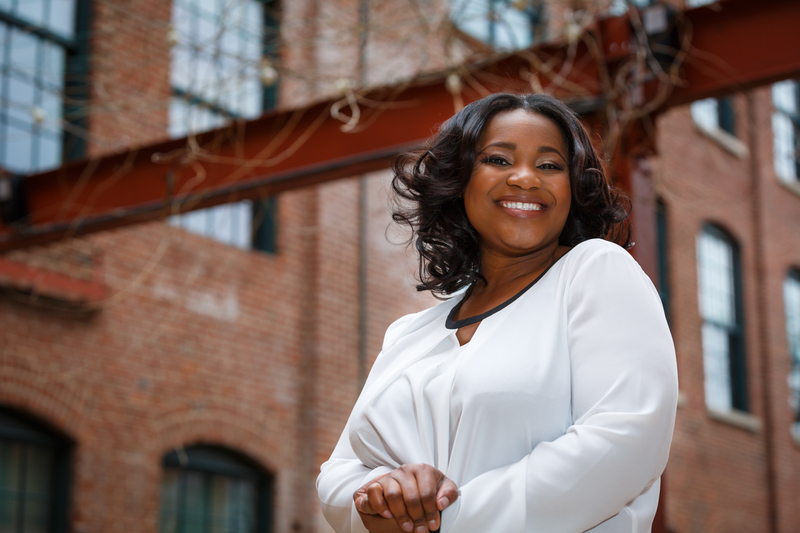 An outspoken champion for education equality is inspiring ninth grade girls to become bosses. “My nickname growing up was Mouth Almighty, because I used to boss all the other kids around,” says Kimberlyn Peal, who immigrated to the U.S. from a refugee camp in Sierra Leone at the age of 5, and quickly got over the culture shock to become a culture shifter. Peal gets much of her mojo from matriarchs in her family. “After my parents got divorced, my mom led our family in such fierce ways. And my grandmother was something like a Renaissance woman. She owned an apartment building in Liberia, was a hairdresser, supported her children and fostered several children in the community as well,” says the Teach for America alumna, who now serves as the organization’s director of culturally responsive teaching. Peal will soon launch Nzinga’s Girls, a yearlong fellowship for minority teen girls in Baltimore. Starting with a six-week summer camp, each student will learn how to craft a business plan and start her own company or organization, along with the fundamentals of investing and building generational wealth. Each student will show how her venture has made a positive impact on the community. “In ninth grade, girls are just discovering who they really are. It’s their time to decide if they want to buy into the narratives they’ve been told about what a black woman can be–or if they want write their own narrative,” she says. Peal believes great role models are critical to reaching girls at this stage–and she’ll invite inspirational female figures to come speak or teach. She’ll also help the girls secure internships in either the entrepreneurial or nonprofit worlds. “At the end of the year, each student will be required to show how her venture has made a positive impact on the community, whether it’s through the workforce, tourism, housing, the environment or another way,” she explains. Fighting for social justice is in Peal’s blood and she named Nzinga’s Girls after Ana Nzinga Mbande, the fearless 17th century African queen of modern-day Angola who protected her people from colonization by the Portuguese.